If you are someone who uses their smartphone for everything, now you can integrate it into the "real world" to open and close your garage door using the iPhone as a remote control. 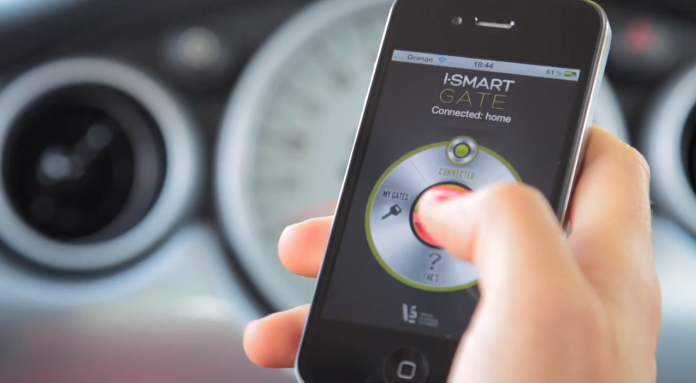 What you need to operate the system is iSmartGate buy the device and install it on the inside of your garage door (is 100% compatible with all types of door) and download the application for Smartphone (is free). The system will work wirelessly and quickly. You use three different modes to choose from: Garage Mode (standard configuration that simulates the button to open and close), Pulse Mode (designed exclusively to control other more complex devices such as blinds or awnings, in which not only the option opening and closing) and On / Off Mode (designed to control alarms, lights or automatic). It is available for both iPhone and Android.